Heritage Hardwood Flooring Ltd. has been providing exceptional hardwood flooring services to many of Calgary’s leading home builders and renovators for over 30 years. We take pride in doing all types of hardwood flooring, prefinished and site finished products. We custom match colors to harmonize with other color schemes, furnishings or woodwork in one’s home. 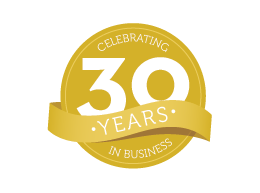 We do not subcontract our work outside of our existing staff and are proud that some of our staff have been with us for over twenty years. We are committed to schedules and being reliable to time restraints. Please contact us to be involved in your next hardwood flooring project. Heritage Hardwood Flooring Ltd. is proud to produce “Floors that we can both be proud of”. We have been specializing in all types of hardwood flooring for over 30 years. We supply and install prefinished hardwood flooring in a variety of species and colors from some of the leading manufacturers in the world. We also supply, install, sand and finish unfinished hardwood flooring, which we are able to custom match to virtually any color scheme desired. We are involved with engineered hardwood flooring as well, in either prefinished or site finished products. We offer a dustless sanding system for your convenience. We do both new home construction and renovations as well as patching and extending hardwood in existing homes. Contact us to find out about our new rustic wide plank hardwood flooring. Heritage Hardwood Flooring Ltd. has been providing exceptional hardwood flooring services to many of Calgary’s leading home builders and renovators for over 30 years. Copyright 2017 Heritage Hardwood Ltd. All rights reserved.